Proxiblog has given advice on photography and showcased some of the best on Proxibid. When and what order you post also can give you an edge. Some houses consistently beat the competition both in the quality of photography and when and what they post first, to jump start bidding. 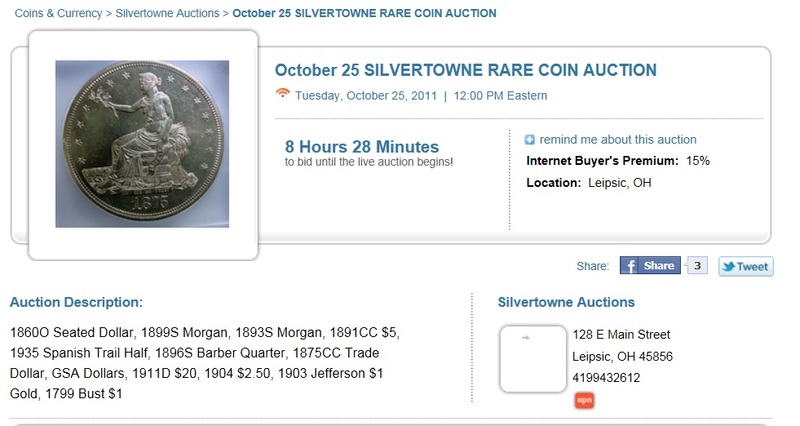 For instance, Rolling M Auctions, Silvertowne, Western, Capitol Coin, Leonard Auction, Key Date Coins, Jewelry Exchange and Fox Valley post photos several weeks to a month in advance, knowing that collectors and buyers on Proxibid are looking for certain coins and will bid early and often to claim them. We know it is difficult for small houses or even one- or two-person operations to photograph consignments and post the entire auction online in a timely manner. For those, we recommend photographing certain coins first and posting lesser lots later. Then follow with your most expensive or showcase lots. After those, coins slabbed by PCGS, NGC, ANACS, ICG. Then add all raw coins worth $200 or more, $100 or more, and finally $50 or less, including common proof and mint sets and modern commemoratives. Certainly, there will be exceptions to these suggestions. Use your best judgment. The point is, those houses that post early and completely are going to snag bids on lots that you might plan on featuring. Get your best lots up as early as the largest houses, and you’ll see increased business on Proxibid. This entry was posted in Articles, Best Practices, Featured Updates and tagged American Numismatic Association, ANACS, Auctioneers, AuctionZip, Best Practices, Coin Auction, coin photography, Howard's Coin Shop, ICG, iCollector, Jewelry Exchange, Key Date Coin Auctions, National Auctioneer Association, NGC, PCGS, Proxiblog, Rolling M Auction, SIlvertowne, Western Auction. Bookmark the permalink.